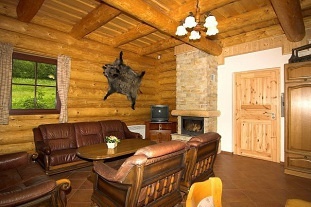 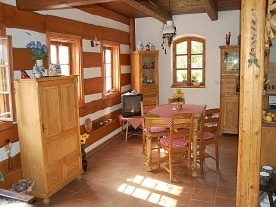 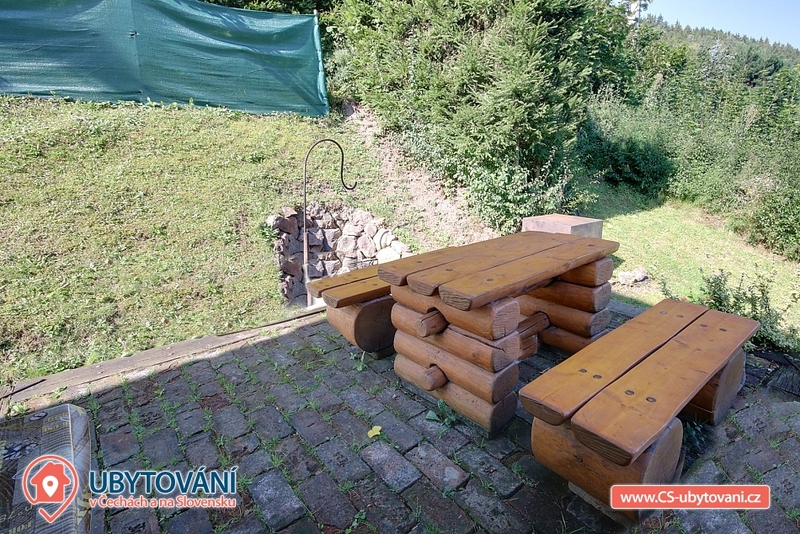 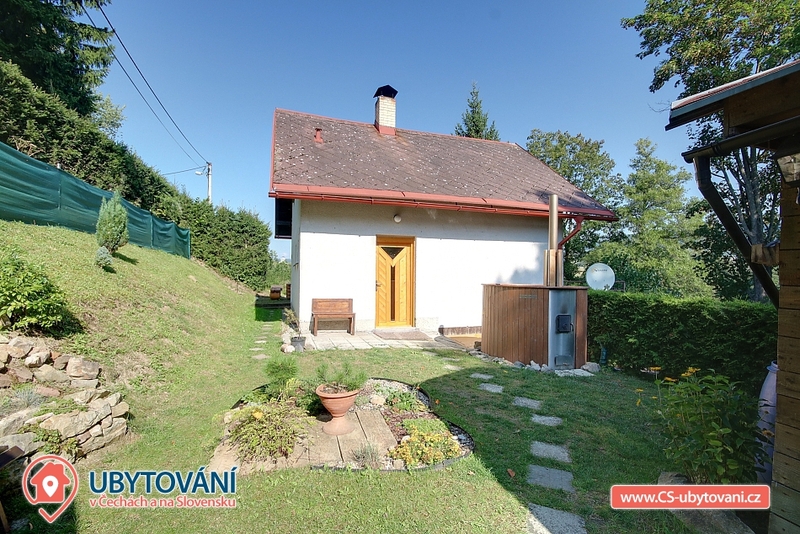 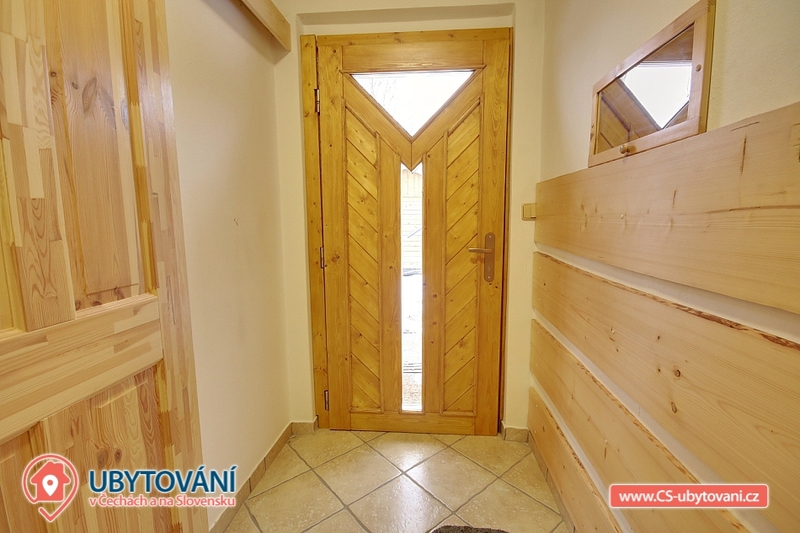 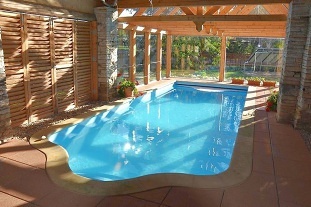 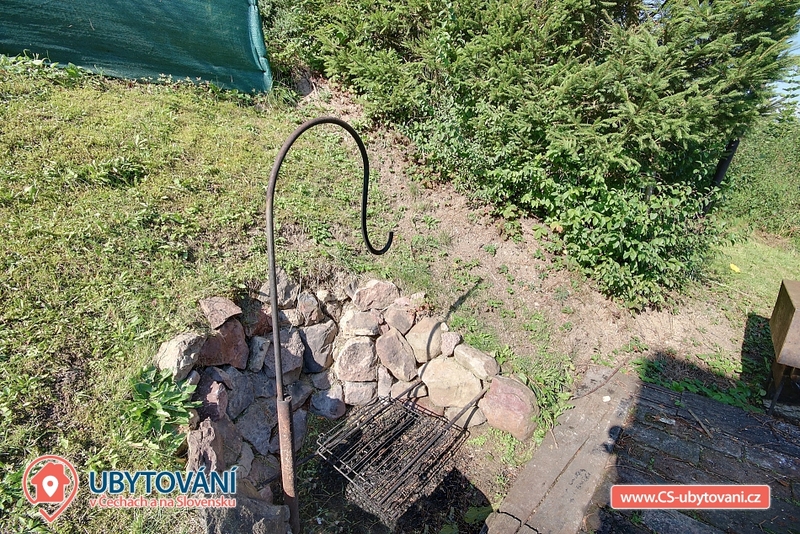 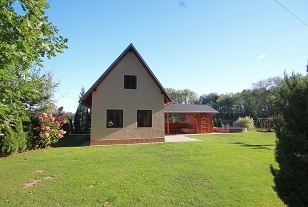 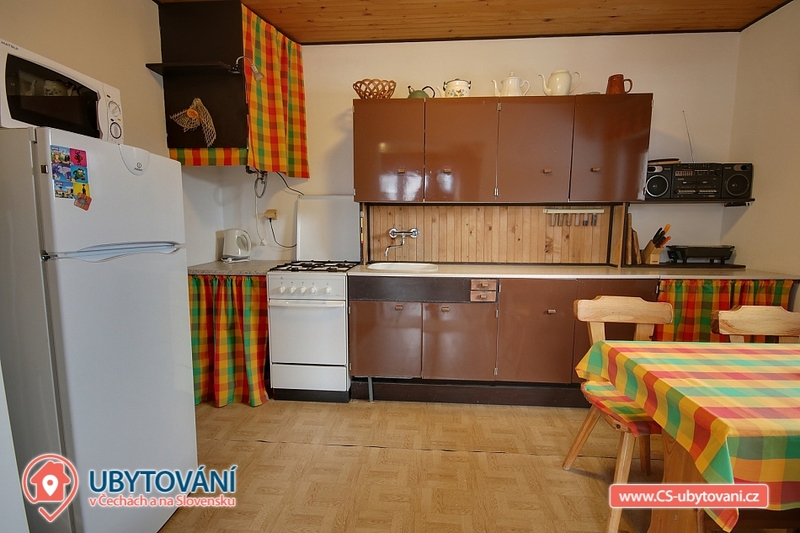 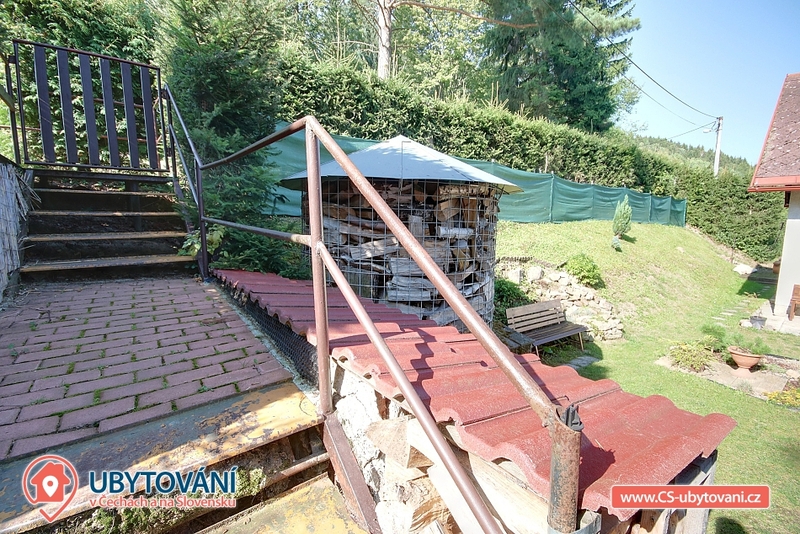 Cottage for rent - Batnovice, CHKO Broumovsko. 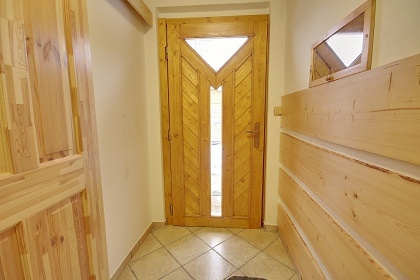 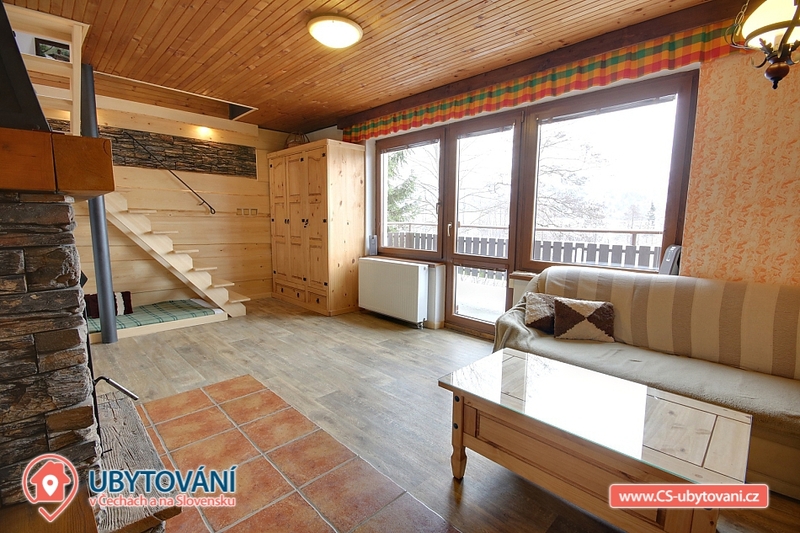 Renting a cottage with a bath tub on the border between Orlické hory and Giant Mountains. 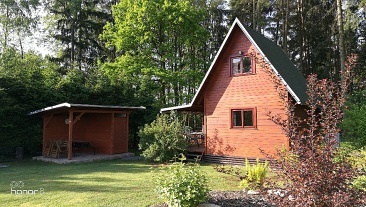 Accommodation in cottage Malé Svatoňovice, Úpice and Rtyně in Podkrkonoší. 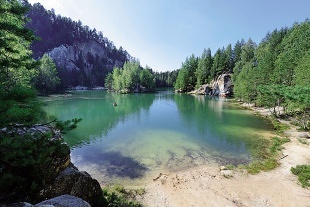 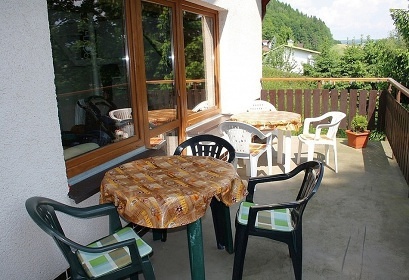 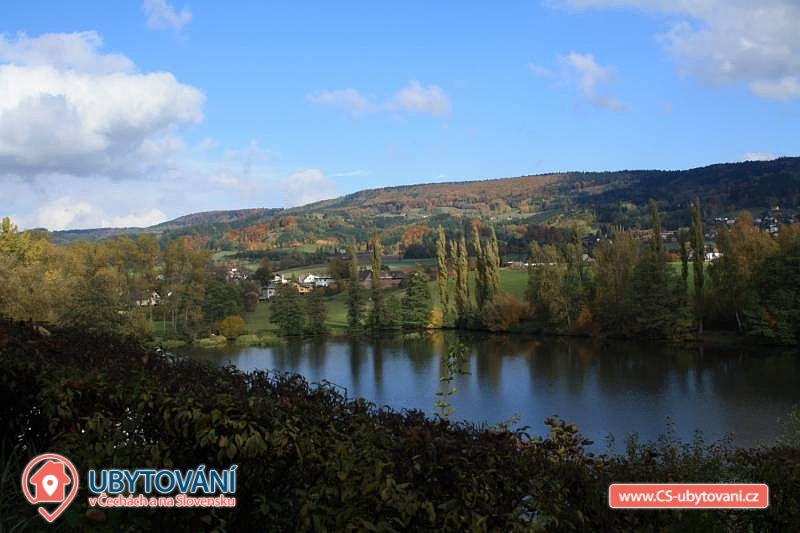 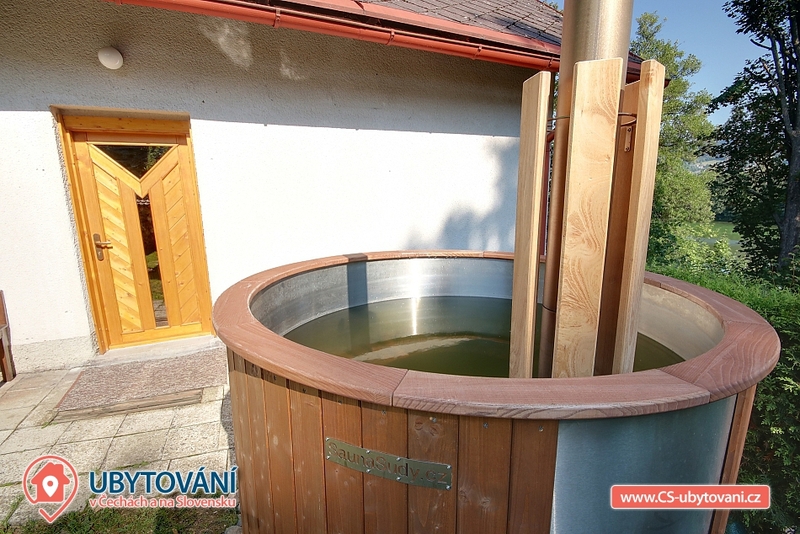 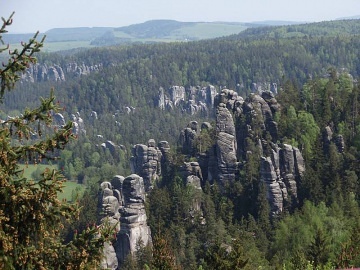 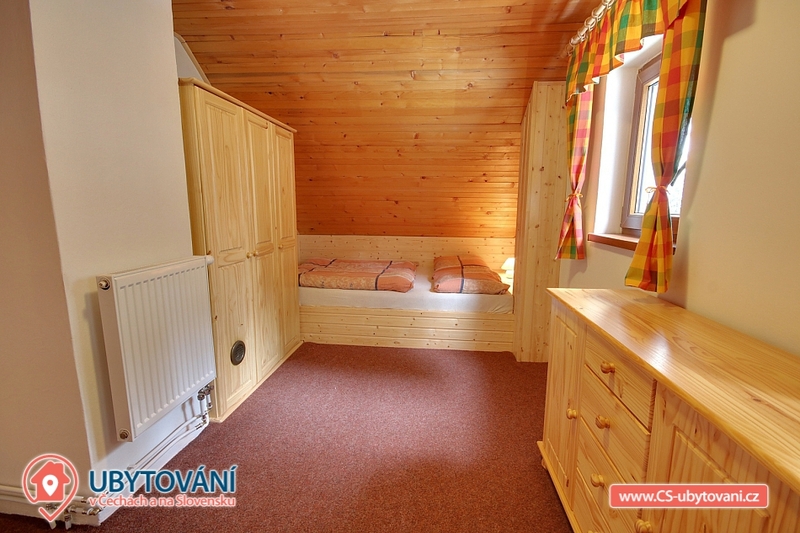 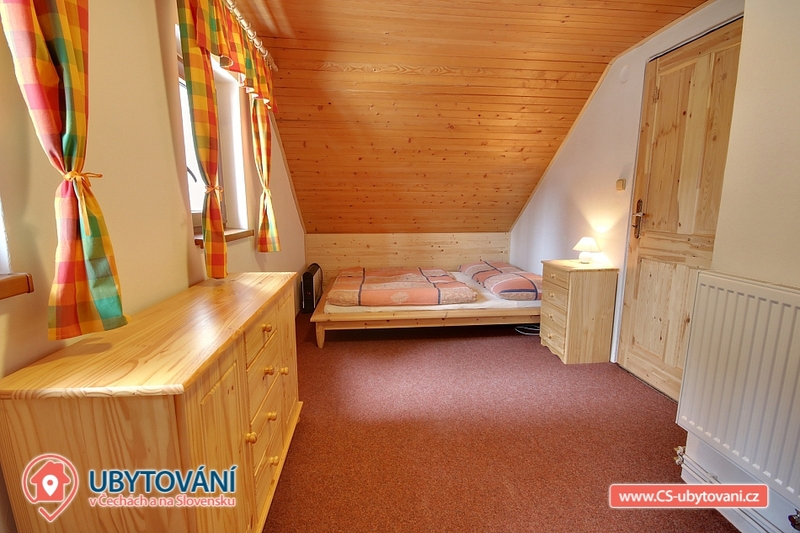 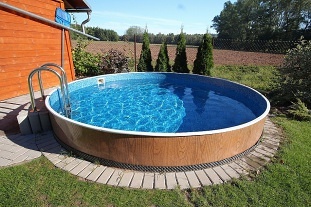 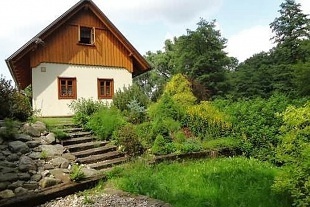 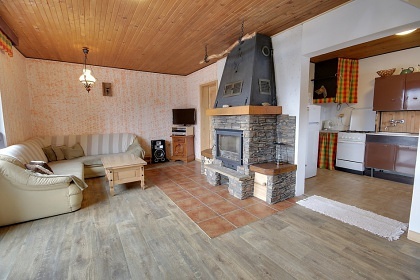 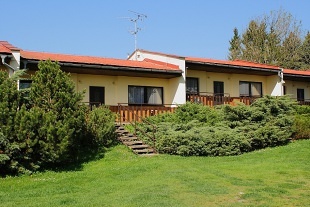 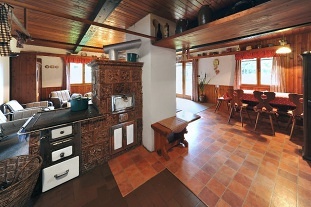 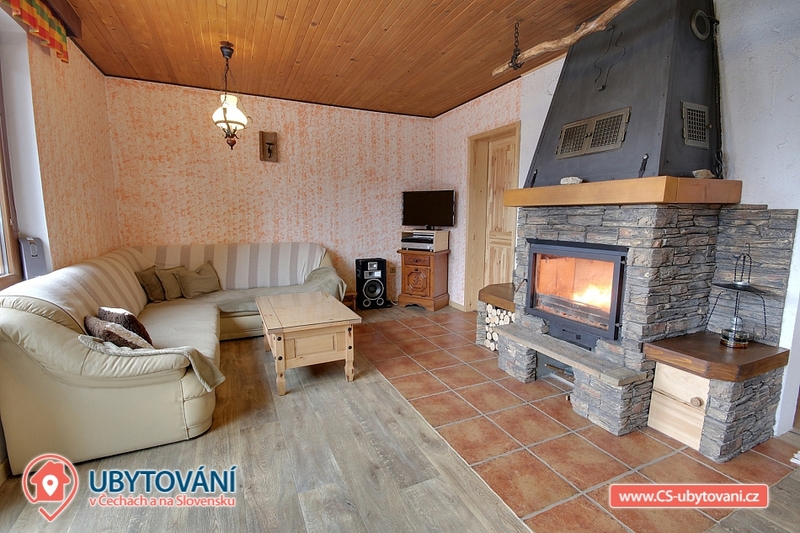 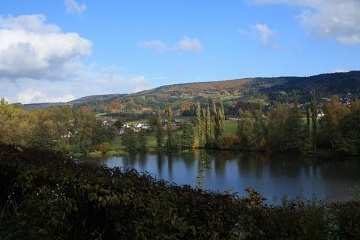 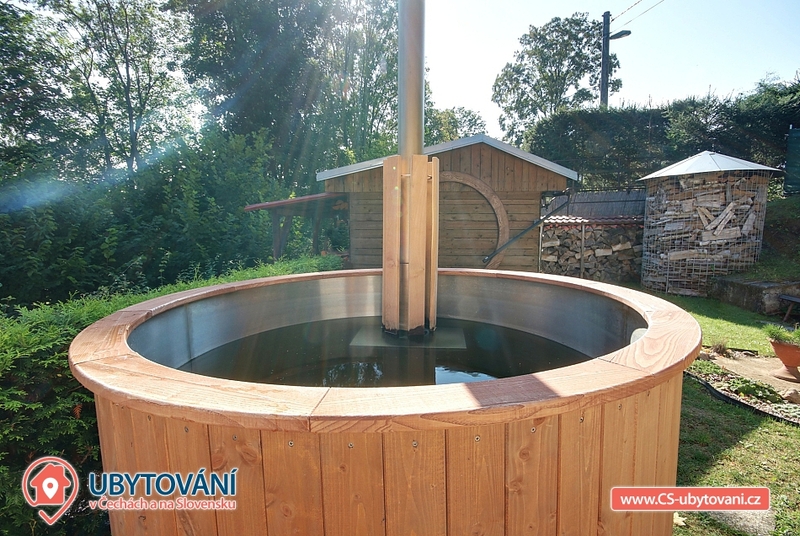 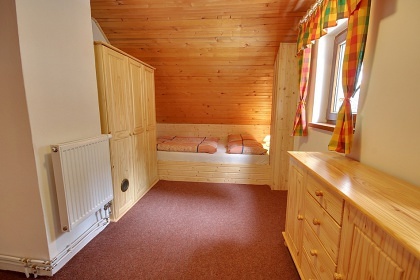 We offer you a rental of comfortable cottages near a forest and a pond in the village of Batňovice under the Jestřebí Mountains and near the Adršpašoteplické rocks. 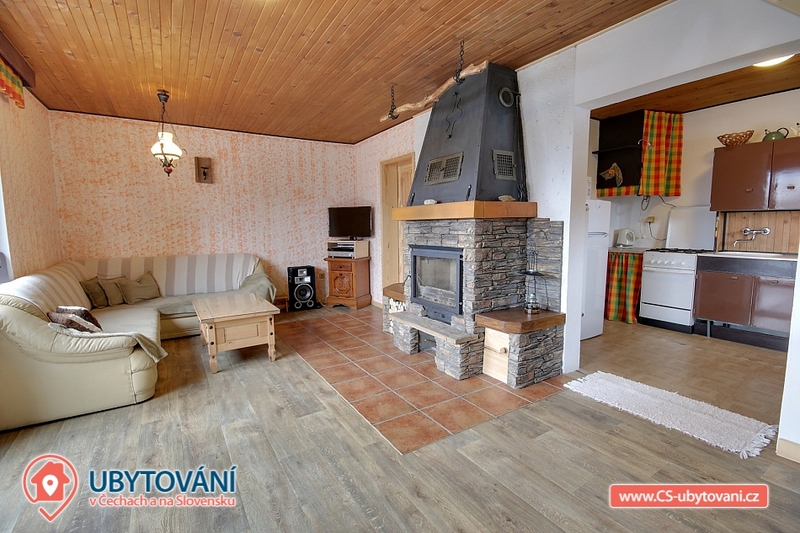 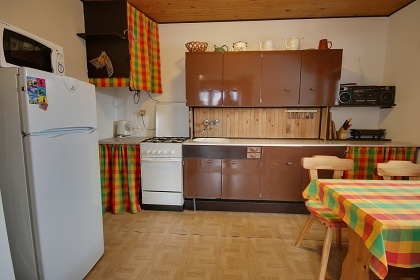 On the ground comfortably furnished cottage is fully equipped kitchen (gas stove with oven, microwave, fridge, kettle), dining table and a living room fireplace, sofa, 1 bed mattress and TV + SAT. 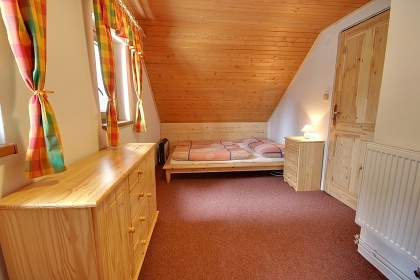 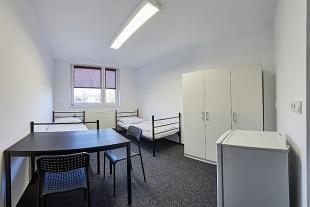 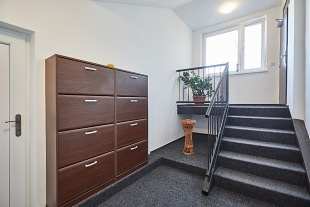 There are 2 bedrooms on the floor: 4-bedded (2x double bed) and 3-bedded (double bed and single bed). 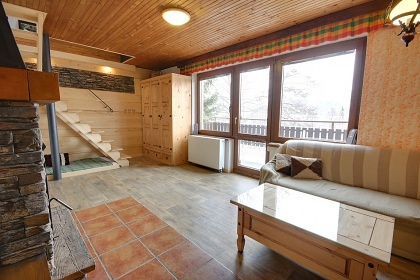 On the ground floor there is a bathroom with shower and toilet. 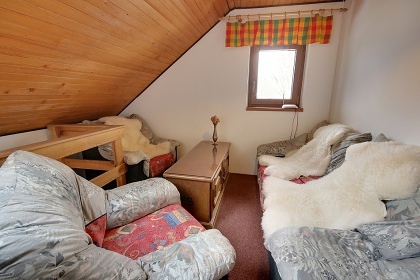 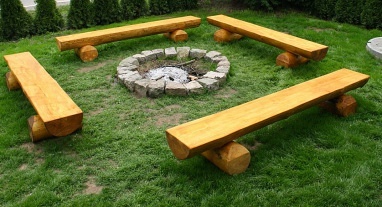 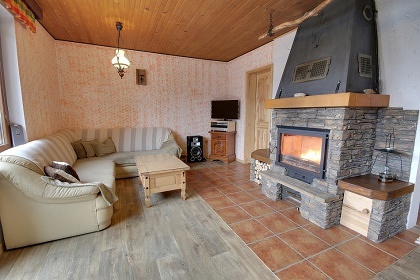 The heating is provided by an electric boiler and a fireplace with central heating. 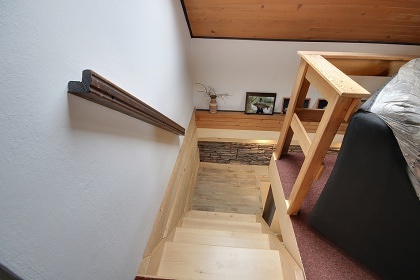 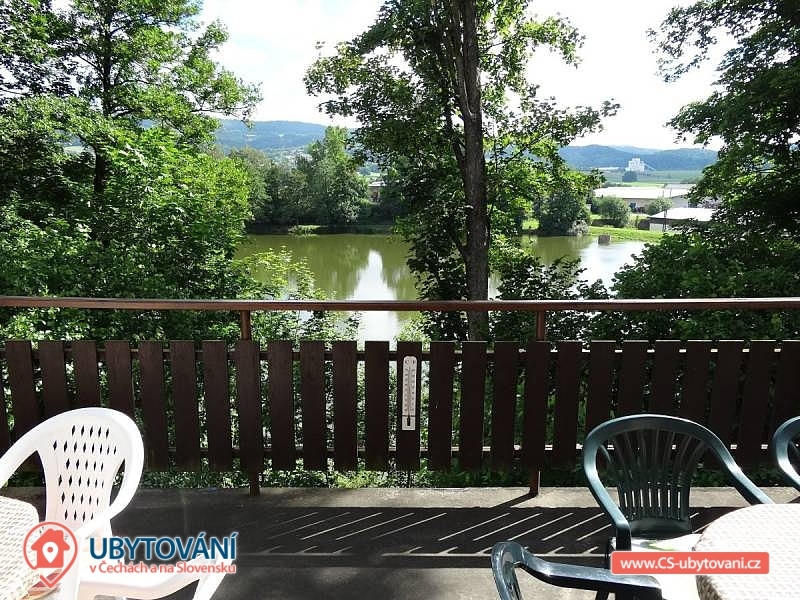 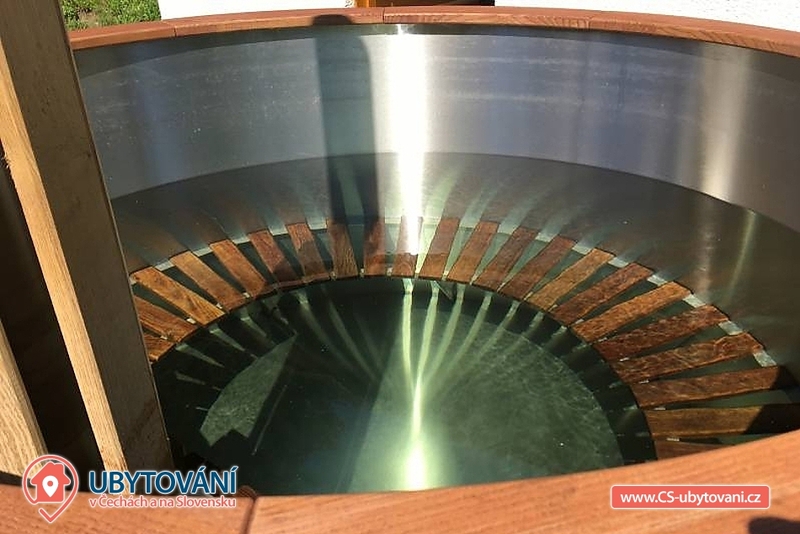 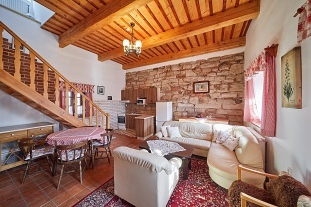 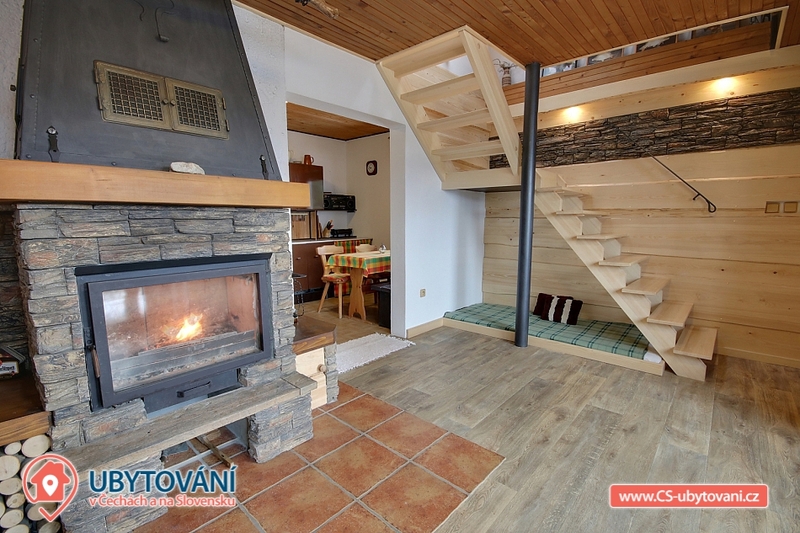 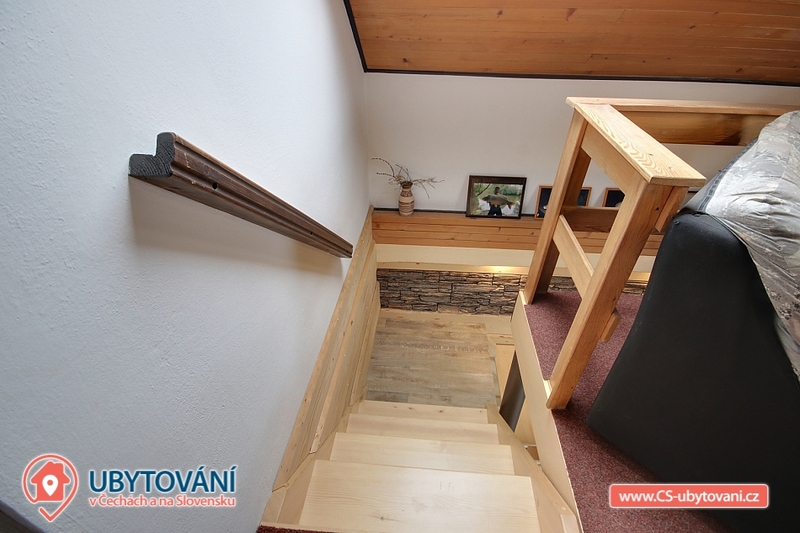 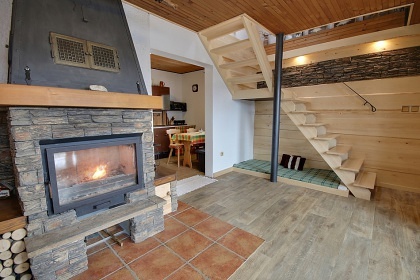 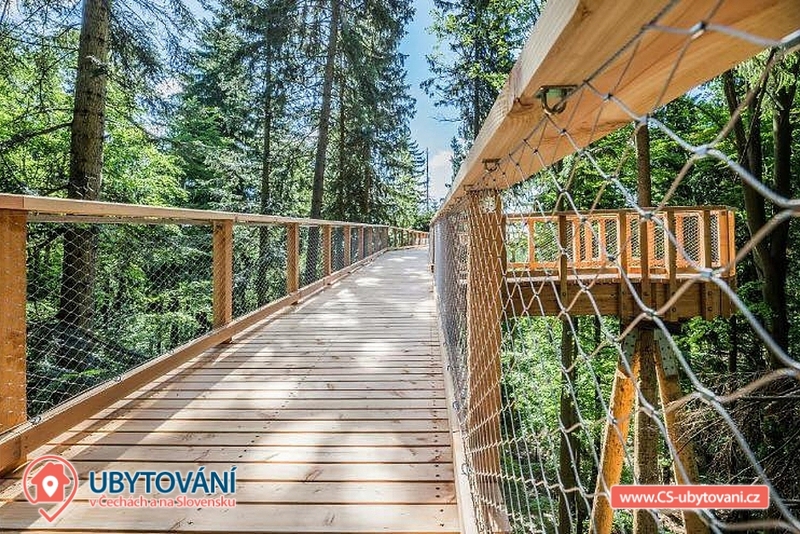 The cottage has a balcony and an outdoor terrace with views of the mountains and the Jestřebí pond, heated bathing barrel, garden furniture, wooden furniture, grill with lava stone fireplace and 300 meters away playground. 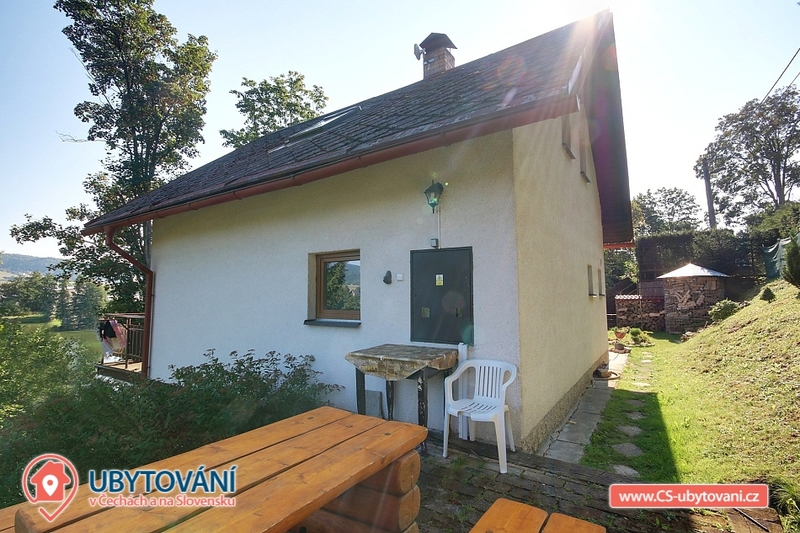 Parking for 1 vehicle directly at the cottage, other vehicles in the parking lot at a distance of about 25 m. Our cottage is on the border of the Broumovsko Protected Landscape Area, an ideal place for many experiences and a peaceful holiday. 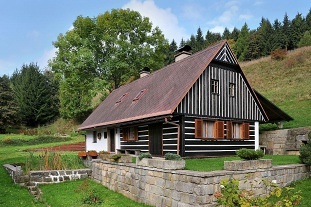 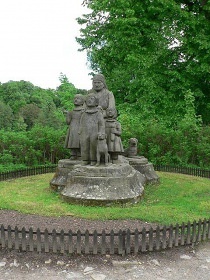 Thanks to its location the cottage is a good starting point for visiting the main mountain resorts: Pec pod Sněžkou, Janské Lázně, Černá hora or Špindlerův Mlýn. 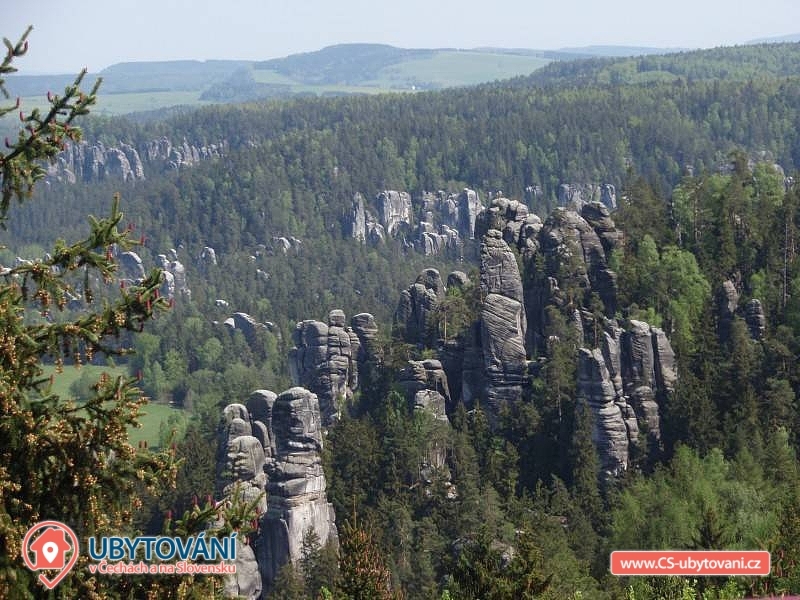 For nature lovers, there are hiking and biking trails that lead to an interesting, rich countryside where countless bunkers can be seen. 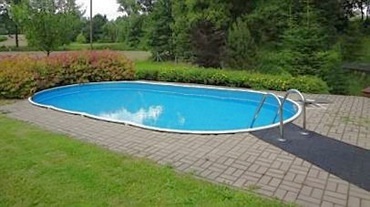 World War II and War. 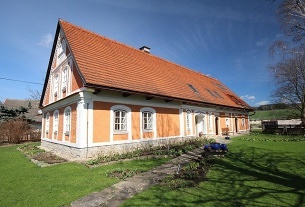 museum. 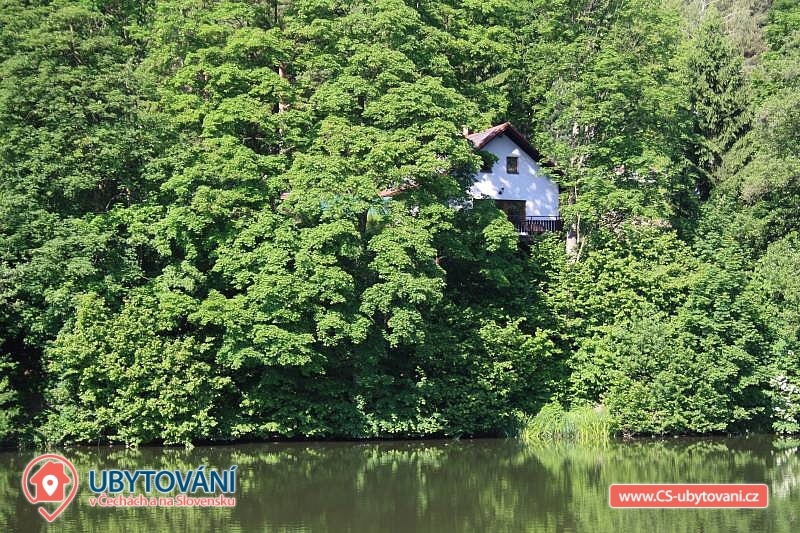 Bathing in the vicinity: reservoir Pleasure, pond Martin, swimming pool Malé Svatoňovice, swimming Radeč - Úpice lake Kuprovka, Brodsky pond, pond Špinka, aquapark Trutnov, pool Trutnov, swimming Petříkovice pond Dolce, Lake Adršpach sand pit, swimming pool Teplice nad Metují, swimming pool Náchod, pond Vlčkovice in Podkrkonoší. 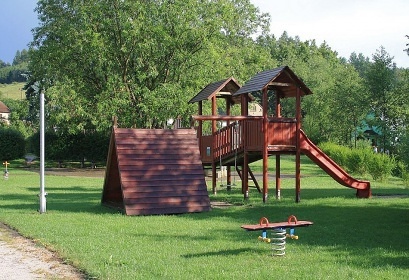 Possibility of trips to castles and castles, forts and lookout towers. 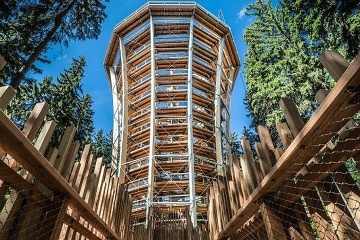 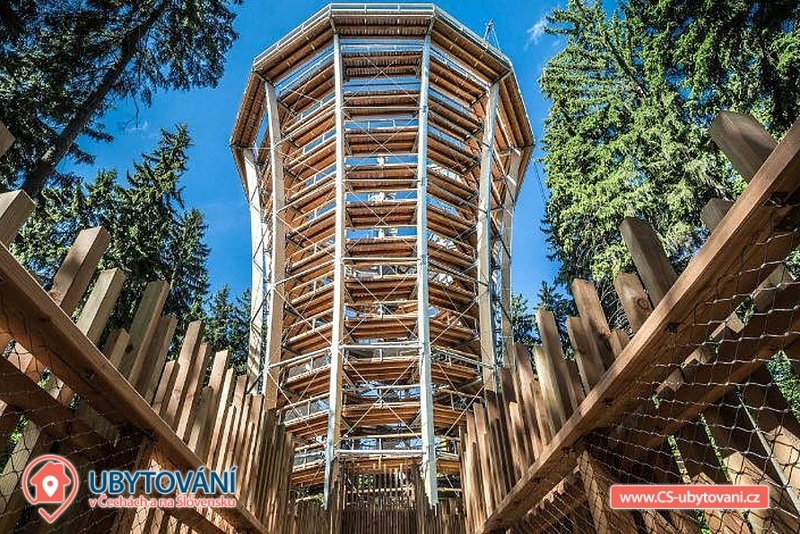 Lookout towers in the surroundings: Trail with Crown Trees Giant Mountains, Žaltman 739 m, Dobrošov 622m and Slavětín lookout tower. 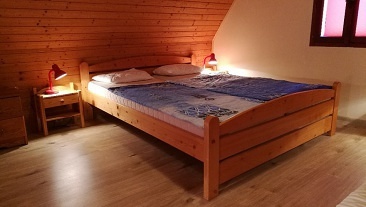 Additional information Úhrada dřeva na vytápění sudu dle skutečné spotřeby. 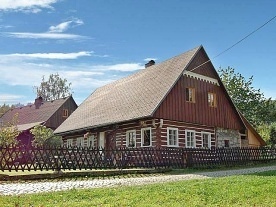 Lůžkoviny, voda a plyn poskytovány v ceně pobytu.